Though placing a distant third behind Mom and apple pie, there’s still not much that’s more American than Big Bird. Sesame Street represented a do-gooder legacy of the 1960s, proposing that mass media could do more than titillate, distract, and sell soap—it could educate our children and inculcate values of decency, respect, and mutual tolerance that commercial media neglected in the pursuit of profit. Indeed, the widespread popularity of characters like Big Bird and Elmo represented a triumph of government—something publicly funded could be just as popular as anything privately produced, if not more so. It could even be the toy of the year, sought after by harried moms and dads in the Christmas shopping season. When former Gov. 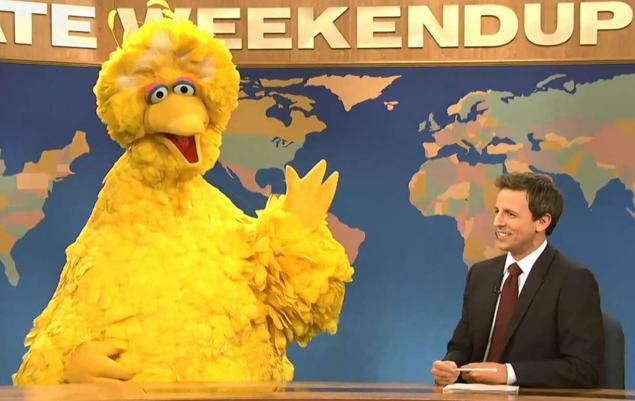 Mitt Romney vowed to cut off Big Bird and defund PBS in the first presidential debate, the moderator Jim Lehrer seemed flummoxed. Is the man on stage actually threatening to fire me, even though I’m (at least nominally) in charge of this debate? It was a surprising and blindsiding move for the Republican nominee—a tell, perhaps, of the aggressive tack he would take for the rest of the debate. Liberals have since needled Romney for his seemingly gratuitous attack on an American institution. As the physicist (and PBS alum) Neil deGrasse Tyson noted, axing the penurious subsidy for PBS and NPR, which makes up a small part of their budgets in any case, would be like deleting text files (which take up the least space) to make room on your hard drive. Everyone knows that big video files (Medicare, the military) are what’s taking up most of the space in the federal budget. The Obama campaign has even taken to clobbering Romney over his anti-Big Birdist views, despite the fact that a thousand other issues, from war to women’s rights, seem more pressing. Yet Romney’s assault on the yellow menace was not just a stray comment or a nervous tic. It speaks volumes about today’s GOP and the political history of our country. Most Americans associate the Great Society of the 1960s with its signature achievements, notably the Civil Rights Act of 1964, the Voting Rights Act of 1965, and the introduction of Medicare and Medicaid. The Great Society has also become shorthand, among conservatives, for feckless and counterproductive programs to end poverty. But President Lyndon B. Johnson accomplished a good deal more in the frantic flurry of initiatives that passed when he enjoyed a large, liberal majority after the historic failure of Republican Barry Goldwater in the 1964 election. The Immigration Act of 1965 ended racist quotas that discriminated among who could and could not come to the United States for more than 40 years, helping create the more diverse America that elevated Barack Obama to office in 2008. The Great Society also introduced valuable programs such as Head Start for early childhood education and the National Endowment for the Arts. One of the last, and least known, measures that LBJ signed was the Public Broadcasting Act of 1967, which laid the groundwork for PBS and NPR. Though not as towering or contentious an achievement as Medicare or equal voting rights, this law has had a profound impact on American life in the last forty years. Without it, we might not hear Morning Edition on the way to work, All Things Considered on the way home, or Car Talk and Wait Wait Don’t Tell Me on the weekend. It is no doubt possible that community radio and television might have evolved on its own, without federal involvement, and indeed the early efforts at public broadcasting built on local and educational stations around the country. But PBS and NPR ultimately represented a fundamentally liberal or social democratic promise that something other than the private market could provide a valuable service; in fact, the public sector could complement and supplement the commercial market, especially when it fails, providing something that otherwise would simply not exist. This was the premise behind the “public option”—a publicly run health insurance insurance program—that liberals fought for and Democrats ultimately abandoned in the push to enact health reform in 2009 and 2010. Rather than nationalizing or socializing healthcare, it would have at least put another option on the table—one that might have proved better and more cost-efficient than the private alternative. The public option died a lonely death, due to the recalcitrance of conservative Democrats and the ludicrous demand to meet a 60-vote supermajority in the Senate to pass any legislation, but it remains alive in the minds of liberals, an echo of past progressive achievements, from public schools and libraries to Social Security to NPR. The market does not always produce quality goods and services at a price that those who need them most can afford, which is why government provides (or at least has provided) education, housing, security, and so forth. 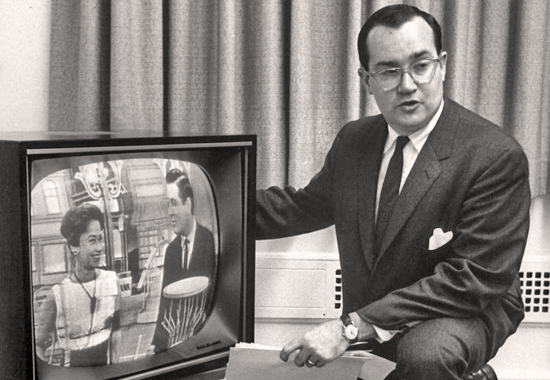 Public broadcasting was meant to remedy the shortcomings of that “vast wasteland” Newton Minow famously decried on the airwaves in 1961, and restore some of the uplifting democratic potential that TV seemed to possess as recently as ten years earlier. As one wag on Facebook put it, Honey Boo Boo is what happens when educational TV is done for profit. The wonderful inventions of Jim Henson and his collaborators are the alternative. As Malcolm Gladwell observed in his book The Tipping Point, the creators of Sesame Street took advantage of cutting-edge research on psychology and education to make a program uniquely focused on learning; in fact, they conducted their own tests to see what engaged young viewers and what left them distracted, even eschewing the advice of some psychologists in order to produce a program that best held children’s attention and helped them retain important lessons about math and literacy. The big networks passed on this unusually academic take on children’s television, but the early, struggling PBS embraced it as one of its first big successes at quality programming. Still, critics see most public broadcasting as wan, colorless, and elitist. It is just another aspect of the Great Society that conservatives have been trying to undo for years, like Medicare and the NEA. In principle they do not believe any government interference should be allowed in the media marketplace, from the regulations annhilated by the Telecommunications Act of 1996 to the Fairness Doctrine on down. They also see NPR and PBS as publicly-subsidized fonts of liberal propaganda, though some on the Left believe they are studiously centrist and almost too solicitous of conservatives in an effort to beat back a “liberal” image. If any “center” remains in American life—if it is possible for anything to be neutral, objective, or fair-minded—then I think NPR is close to it. It is no Democracy Now, and it is certainly not the same as the partisan spectacle of MSNBC and Fox News, but I think we would be worse off without it. LBJ advanced a progressive agenda across many fronts back in the 1960s, from civil rights to the arts and education, despite the tragic mistake of entrenching the US in the Vietnam War. Even as the measures of the Voting Rights Act are now under legal and political scrutiny, public broadcasting lives on and enjoys a large constituency. It should come as no surprise that Mitt Romney and other conservatives see Sesame Street as a symbol of everything that’s gone wrong with America since the 1960s, as contemptible as Reverend Wright or Sandra Fluke in its own adorable way. The anti-government, anti-public party does not like it when government gets something right. The Children’s Television Workshop has pointed out that it receives very little public funds, instead drawing support from donations, grants, corporate underwriting, and its lucrative trade in books, toys, and other merchandise; still, it appears in a publicly subsidized forum that would likely not exist if not for the Public Broadcasting Act, and the creators of Sesame Street were able to craft their show without the same pressures and constraints of commercial TV. Terrific post, Alex. Going to follow you. . . .like Big Bird. . .